This is a new edition of a best-selling, exceptionally applied look at how to teach elementary language arts effectively in every classroom, for all students. Language Arts: Patterns of Practice, 9/e sets the bar for K-8 language arts methods texts, not only for its coverage of the six language arts—listening, talking, reading, writing, viewing, and visually representing—but also for its presentation of the instructional approaches (patterns of practice) teachers use to integrate the teaching of language arts within literacy instruction. 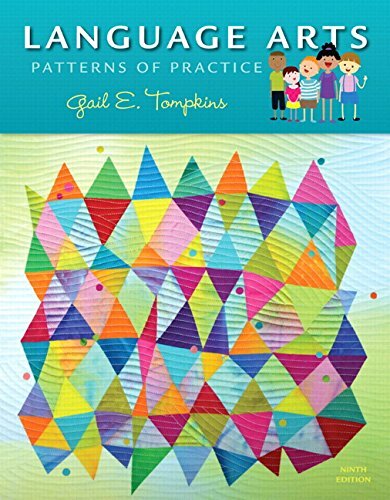 Author Gail Tompkins, well known her accessible and practical presentation of information, includes complete descriptions about and strategies for teaching reading and writing workshop, literature focus units, literature circles, and thematic units. The book features chapter-opening vignettes that showcase classroom teaching, mini-lessons that demonstrate how to teach language arts concepts, and step-by-step details on a variety of instructional procedures, all presented in an easy-to-follow manner that shows how the concepts apply to the classroom. New to this edition is the pervasive and specific alignment of Common Core Standards for English Language Arts to classroom practice, including classroom examples and features that identify how the standards can be met using specific methods. The Enhanced Pearson eText features embedded video, interactive step-by-step instructional procedures, and assessments.